A former Muslim imam in Africa is sharing his story of how he converted from Islam to Christianity and now preaches Christ to Islamists throughout his country. 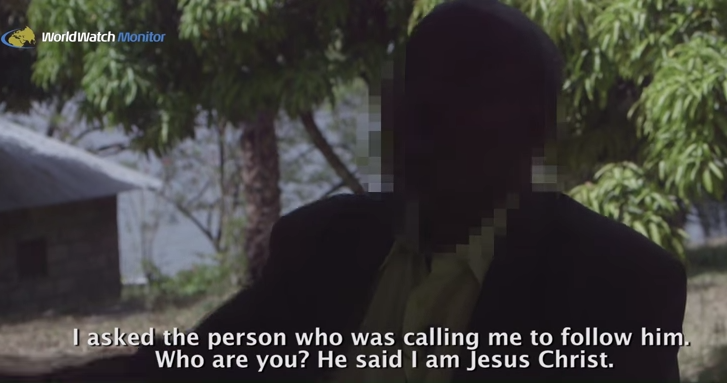 World Watch Monitor recently released the video testimony of a man who once was taught to persecute Christians as a Muslim and is now facing persecution himself as he preaches the gospel as a convert to the Christian faith. Tofik—not his real name—shares that as a child and young adult, he participated in violence against Christians as instructed. Tofik was selected to receive continuing studies in Islam and went on to study in Saudi Arabia. He then became an imam and worked to extinguish Christian evangelism in his African village, forbidding anyone from preaching Christ within its borders. But in 2002, his life changed forever. He told his wife about his dream, but she was skeptical. When he went back to sleep, he had the vision again. “Jesus appeared saying ‘It’s Me, follow Me. When you follow me you will pay a price, there will be persecution in your life, but in the end you will be victorious. I am with you,’” Tofik said. His family continued to reject his story. He began attending a local church, and while some were unsure if his interest was genuine or not—and feared that he might have ulterior motives being an Islamic leader—he began exhibiting changes to show repentance. When word spread that Tofik had converted to Christianity, he became the target of Islamic violence. When the former imam was released from jail, he began preaching the gospel to Muslims. Although he continues to endure beatings and other brutality for the name of Christ, Tofik said that he takes it all in stride.